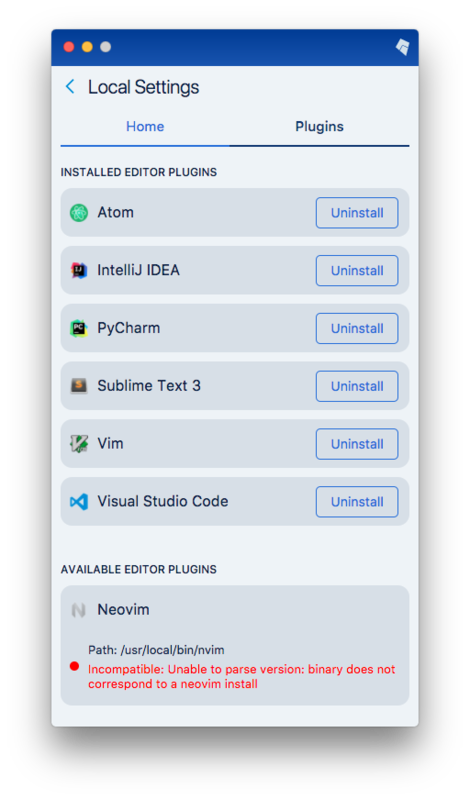 You can install or uninstall plugins for the supported editors from the plugin manager. You can access the plugin manager from the Copilot. First, click on the gear icon in the bottom right corner. Next click on the plugins tab. Allow a couple of seconds for the plugin manager to check which editor plugins are installed. Once the plugin manager is ready, you can install or uninstall plugins for the editors that are installed on your computer. 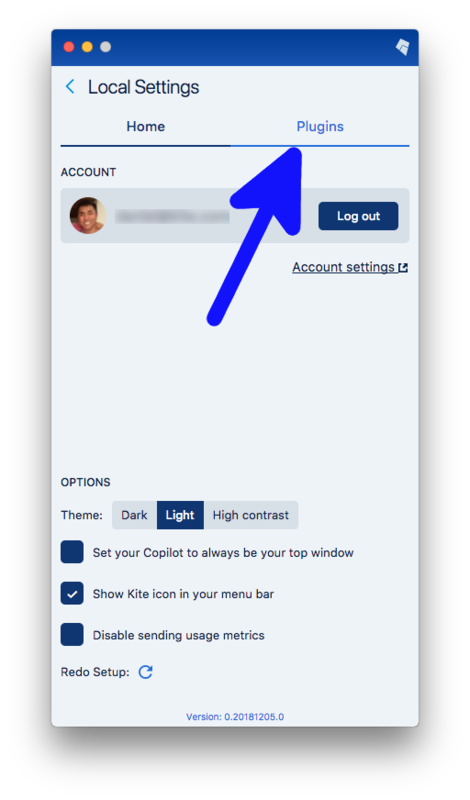 If the Copilot is not shown, you can also access the plugin manager by visiting kite://home in your browser. ❗ Important: When installing or uninstalling a plugin for an editor, please make sure that your editor is not running. The plugin may not install or uninstall correctly if the editor is running. If you'd like to add support for your favorite editor, get in touch with us at plugins@kite.com. On Windows, Kite currently cannot detect editors that have been installed outside of the C:\ drive. 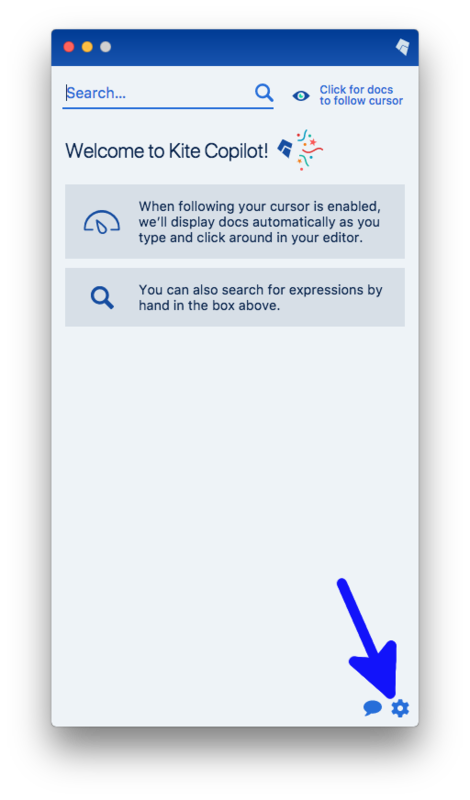 In this situation, you can follow these instructions to integrate Kite with your editor. The GitHub repository for the Sublime Text plugin has instructions on how to manually install the Sublime plugin. Download the IntelliJ plugin here (PyCharm also uses this file). Open IntelliJ (or PyCharm), click on Files → Settings → Plugins, then click on "Install plugin from disk..." and select the downloaded .zip file. Click on "Apply", then restart IntelliJ (or PyCharm) to activate the plugin. You can install the Kite plugin directly from Atom's plugin marketplace by searching for "Kite". You can install the Kite plugin directly from VS Code's plugin marketplace by searching for "Kite".